Having a lush, green lawn is often the primary landscaping view that most visitors will have of your property. However, adding additional features to your property will not only add beauty, but also help to increase the value of your home, investment and/or commercial land. 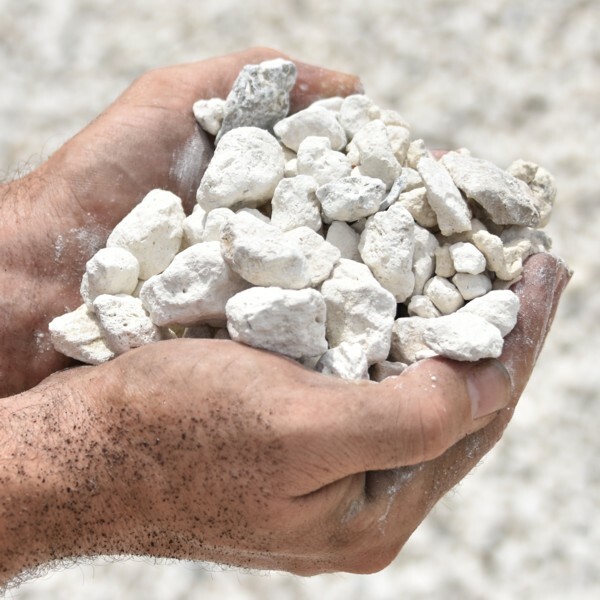 Crushed Concrete also referred to as "recycled concrete", is a coarse base material consisting of larger pieces of recycled concrete and various sand mixtures. 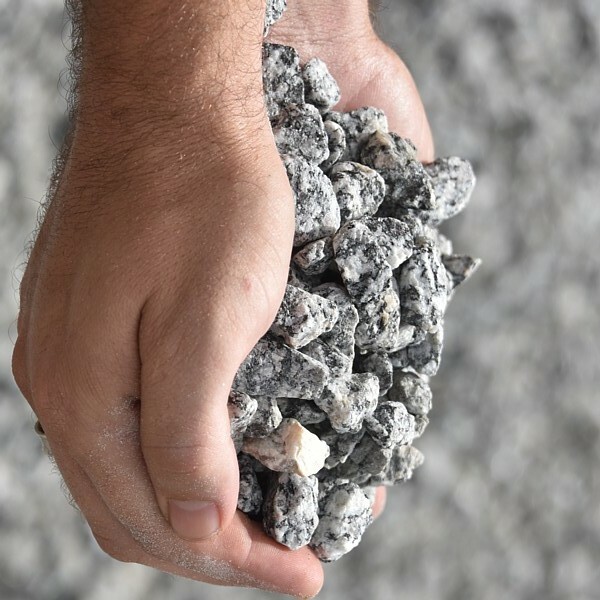 Crushed concrete is cheaper than crushed stone, but is also just as durable. 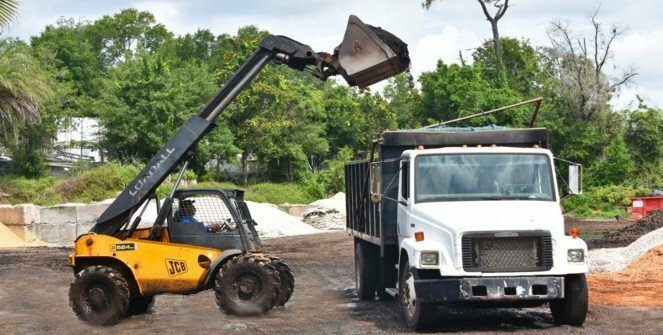 And, because the material can be purposed for such a large variety of projects, nearly everyone can enjoy the advantages of crushed concrete. Marble Chips a recrystallized limestone that formed when the limestone softened from heat and pressure and recrystallized into marble where mineral changes occurred. 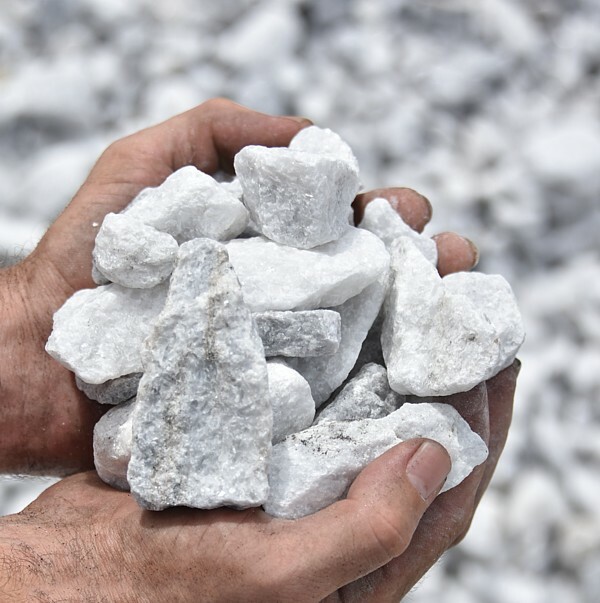 The main consistency is calcium and dolomite. Ranges in many colors and is usually heavily veined and shows lots of grains. Red Rock is supplied to a wide variety of customers who prefer this ground cover for institutional and decorative landscape use. The Red Rock is very popular as ground cover for baseball and softball playing areas and provides an all-weather playing surface. It is also a popular bedding and walkway cover that provides better footing without discoloration. 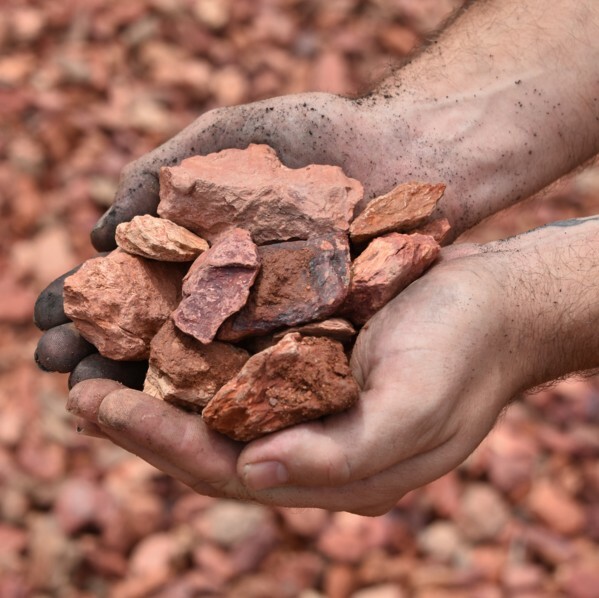 Red Lava Rock is a great for garden placement and general landscaping. It is a lightweight, porous stone with a sponge-like texture. 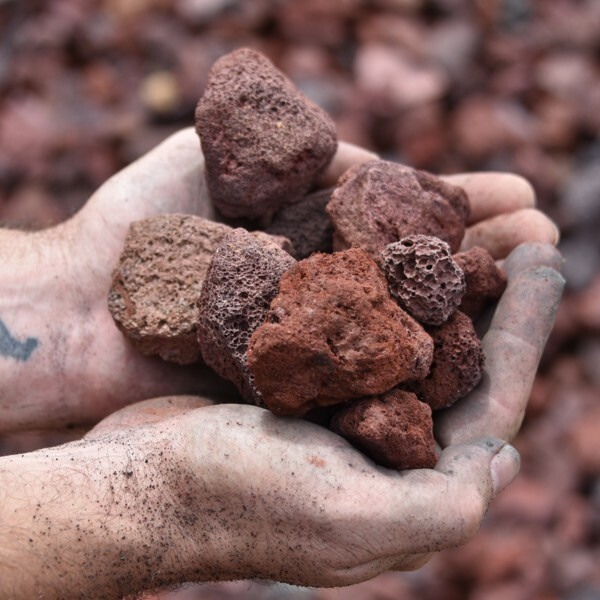 Our lava rock has an attractive red color that makes it ideal for decorative or landscaping applications. River Rock can accent any garden setting with a distinguished flair. Used as joint filler in a flagstone patio or a ground cover in an evergreen bed, Large River Rock fits easily into any setting. Large River Rock is popular in dry streams and pond edges. The smooth round shape of this gravel gives it a soft, calming appearance. These are only a few of the available materials and there are several others that may enhance your property. 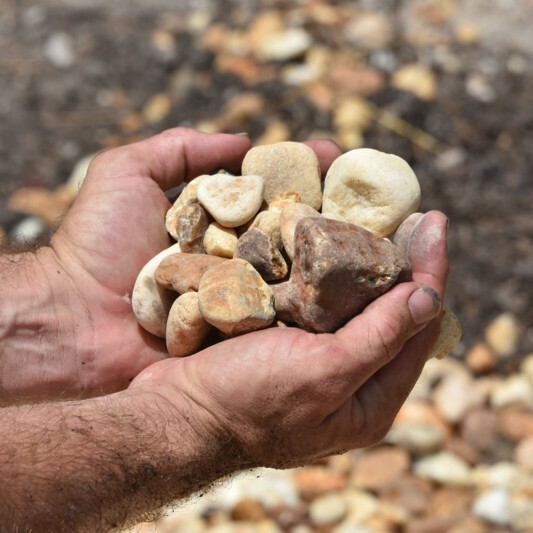 There are many reasons to consider using these raw, natural materials when landscaping. Listed below are just a few. To Beautify Your Property - By adding stone/concrete to your landscape, your property becomes much more visually exciting to viewers. You can make it as elaborate, as simple, or as natural as you wish. 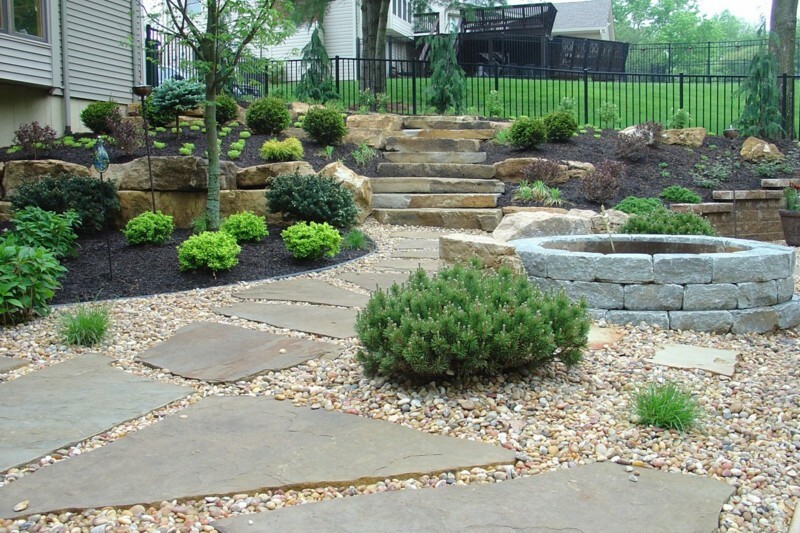 Stones, rocks, and concrete add extra texture and individuality to your property. Furthermore, by combining materials you can take things a step further to create a more impressive and visibly attractive landscape than of others surrounding your land. 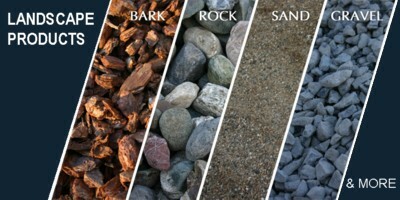 For Easier Maintenance - Using stones and rocks in your landscaping design, for your lawn, driveway, patio, etc. will help to cut down on the amount of maintenance necessary for your property. It significantly cuts down on the amount of grass cutting, watering, and weed pulling that are required. Unlike decorating with wood, grass, or other traditional materials, the needs and costs for constant repairs and restoration are cut dramatically. 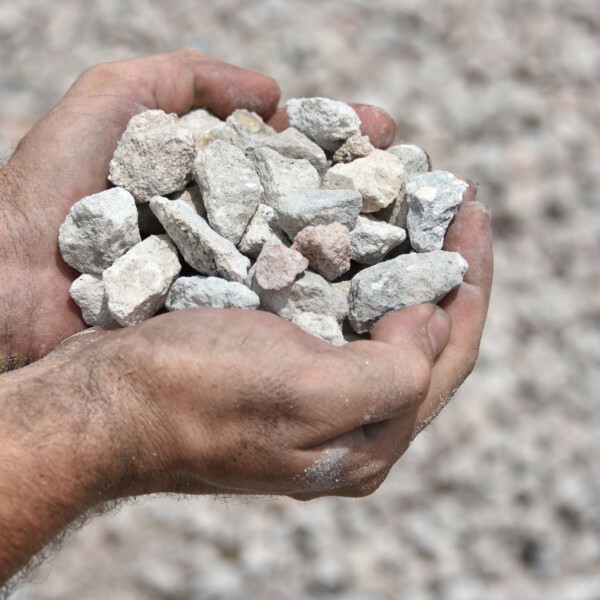 Environmentally Friendly - The more concrete, rocks or stones you use helps to cut down on the amount of plant and/or grass watering you will have to do. Utilizing these resources not only saves on your water bill, but also on chemicals needed to maintain large grassy lawns, backyards, etc. Durability - When it comes to inclement weather, natural materials such as concrete, rocks, and stone are far more durable than other materials. No more soggy grass and mud puddles at your doorway, no more weltering wood panel walkways, and no more unstable and uneven paths to your door. It should also be acknowledged that the stone and/or concrete materials you select will aid in establishing the look, feel, and character of the rest of your landscape. It is extremely important to select items you will be pleased with for years to come as these materials are not only natural but long-lasting. You're only one phone call away from a complete estimate suitable to your individual need. Whether you're thinking about your residential, investment, and/or commercial property, when it comes to investing in upgrading your landscape, you should keep in mind that the addition of these stone or concrete features will also help to increase the monetary value of your property. 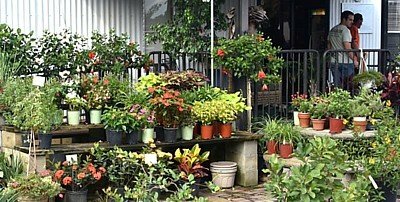 By upgrading your landscape in this fashion, you're also allowing it to stand out from the rest of the surrounding properties. So, if you're considering renovating your front or backyard, and you're considering using stone, please contact Mulch Master today and get your estimate now!